Truffles are wonderful things. Make a filling, dip it in chocolate and voila, you have a delicious bite-size treat! Chocolate truffles are usually filled with a thick chocolate ganache, perhaps flavoured with a liqueur or some nuts. 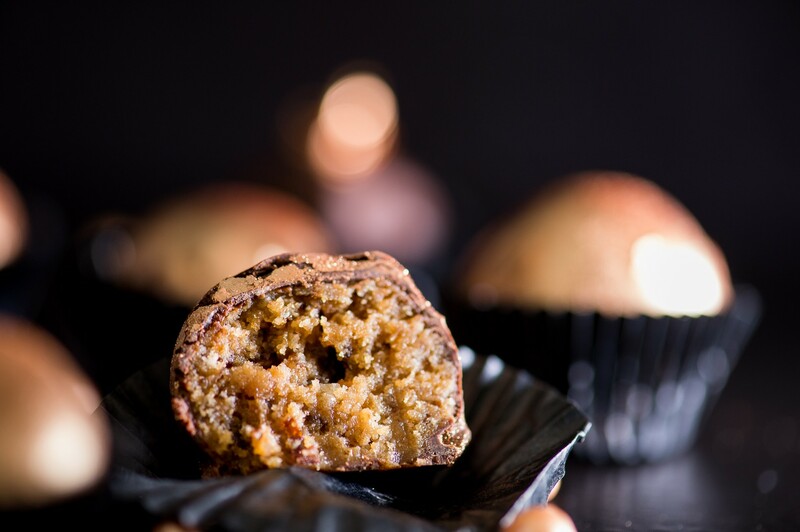 Being the holiday season and all, I wanted to make the filling extra festive so I scoured my pantry for ideas. The jar of fruit mince jumped out at me and got me thinking, how could I make a truffle taste like a mince pie – a Mince Pie Truffle? Fruit mince on its own is too soft and sticky to make a good truffle filling, so I added some shortbread cookie crumbs to thicken it up. Not only does this create the perfect texture, but the shortbread crumbs also provide the shortcrust pastry flavour of a mince pie. And that my friends, is literally how simple this recipe is. With just 3 ingredients and minimal effort you can create these very festively flavoured truffles! Add in a little metallic dusting powder or rose gold leaf, and you now have a beautifully impressive edible gift. Place the shortbread cookies into a food processor and process until you have fine crumbs. Add in the fruit mince and blend until the mixture starts to come together. Roll heaped teaspoonfuls of the mixture into balls and place on a lined plate or baking tray. Refrigerate the truffles for 2-3 hours, or until firm. Place the dark chocolate in a small, deep bowl and melt in the microwave (checking and stirring every 30 seconds). Carefully dip each truffle into the dark chocolate and ensure it is coated completely. Place on a lined tray and allow to set at room temperature. Repeat with the remaining truffles. 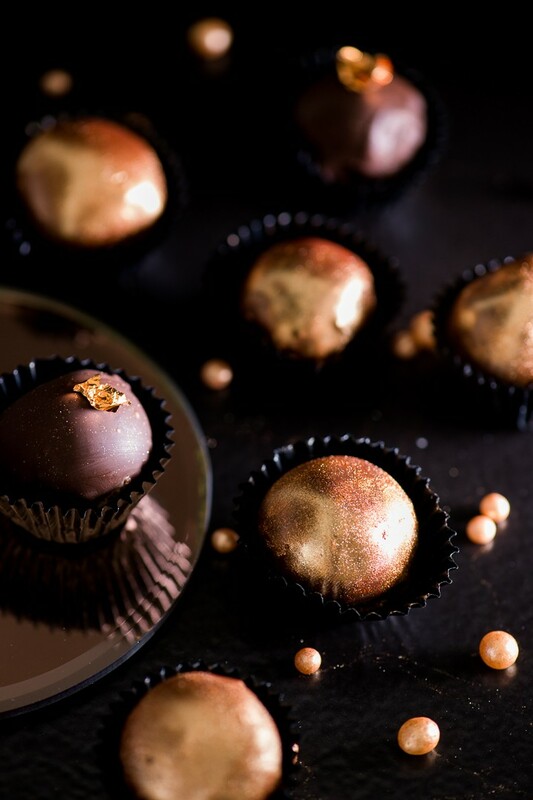 Once the chocolate is set, decorate the truffles with a dusting of metallic powder or a smidge of rose gold leaf. Place each truffle into a mini cupcake liner if desired.